While it is fun to spend an afternoon popping into the small shops along Bardstown Road or Frankfort Avenue, sometimes you need more options. If you have found yourself feeling this way and are longing to park your car once and get all your shopping needs done in one spot, it is time to head to a mall. Even people who shop online are looking for malls now and then. When you shop online it is hard to imagine the product in real life, it is easier to make a decision if you can try on items and feel the fabric, rather than rely on a small image on a computer screen. If this sounds like you, you will be happy to note there are plenty of shopping destinations in and around Louisville. Below are 5 shopping favorites, four in Kentucky and one just over the river in Indiana, try each and find the one that is the right for you. There is a bonus outlet mall at the bottom of the article, too. If you are looking to spend an afternoon scouring for bargains and deals. Oxmoor is located in St. Matthews, just west of 264. In recent years, the mall has been updated. An aging food court was removed and new tenants have been enticed in (think Anthropologie, H&M, and Lululemon). Of course, the favorites remain, from Macy's to Pottery Barn. For a simple gift or a fancy Kentucky Derby outfit, Oxmoor probably has what you need. Located off of Brownsboro Road, in Louisville's East End, this shopping center opened as "The Summit of Louisville" in 2001. After the shopping mall was purchased in 2013, the center was renamed. It's a popular destination featuring Bed Bath & Beyond, Old Navy (which is a great spot for school uniforms), Ulta Cosmetics, and more. Near Oxmoor Center, also on Shelbyville Road, Mall St. Matthews is close to Whole Foods and Trader Joes, so you can stop and get dinner too. Often cited as Louisville's first indoor mall, the shopping center is still consistently popular. There is a JC Penney, Brooks Brothers, J. Jill, Pottery Barn, and more. Situated on Outer Loop, Jefferson Mall is a go-to destination for people living in Louisville's South End. Convenient for others too, as it is located off of multiple highways, Jefferson Mall has oodles of stores, all anchored with JCPenney, Dillard's, Macy's, and Sears. Smaller than the others listed, Green Tree Mall maintains a loyal following as it is the only mall in Clarksville. 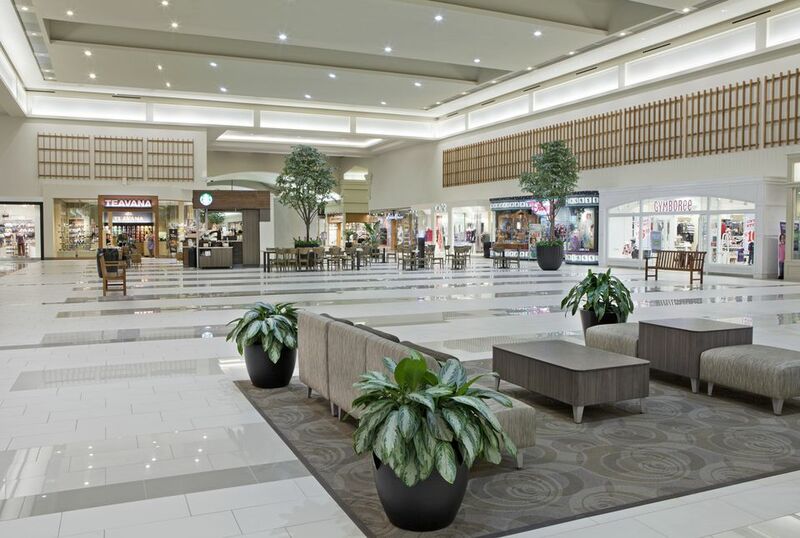 It is not glitzy when compared to Oxmoor Center or the Paddock Shops, but Green Tree does have over 70 spots to visit—from stores to restaurants—including Dillard's, JCPenney, Sears, and Books-A-Million. Outside of the bookstore is a small play area for young kids, usually bustling with tikes playing and parents and grandparents socializing. It is a regular destination for many stay-at-home moms who are looking to get out of the house for an afternoon. Ok, I will admit it, this is a bit different, an outlet mall. But it's a bonus entry to the top 5 malls because sometimes you just can't find that certain something you are seeking out. If you are willing to drive farther out of town in search of deals on high ticket items, the bluegrass stores could be worth the trip.